Optivisor can be worn over glasses and tilts. 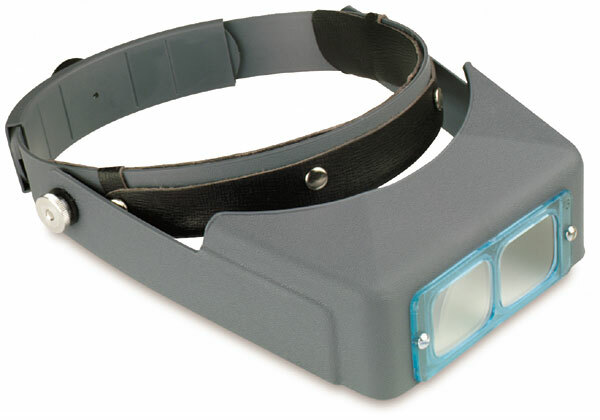 Magnifying power and helps protect against chemicals, grease, and flames. An optical glass lens is mounted in a plastic frame. Adjustable head band. Variety of magnification levels and focal lengths available. ™ Optivisor is a trademark.